Our programs prepare you for some of the fastest growing fields in health care. Cedar Crest College’s Health Sciences majors prepare students for some of the fastest growing professions in the nation. The program offers non-clinical majors for students who want to work in health care but aren’t interested in practicing medicine. This interdisciplinary program incorporates biology, communication, nutrition, business and psychology. Why Health Sciences at Cedar Crest? As a student in the Health Sciences Department you will have the opportunity to experience a common core of courses, allowing you to explore each Health Sciences major before determining which one is right for you. Each Health Sciences major is based in the liberal arts, providing a well-rounded education that prepares students to think critically and analyze more effectively. Majors within the department of Health Sciences share a core set of classes, giving students a better opportunity to select the major that is right for them. Each program includes advising that will introduce students to multiple career opportunities within health care and the health sciences. Cedar Crest has an average 9:1 student to faculty ratio, allowing for more personalized attention. Each program requires at least one externship and encourages internships, giving students the practical experience they need to find success in their chosen field. Cedar Crest College continues to evolve each year in order to answer the needs of today’s fastest growing industries. According to the Bureau of Labor statistics, fields related to allied health, such as physical and occupational therapists and their aides have projected employment growth of 30-45 percent between 2010 and 2020. Additionally, health care support occupations are projected to grow 34.5 percent by 2020. Health and Wellness is one of Cedar Crest’s core values. Interest in the overall “health” of the community has long been a distinctive characteristic of a Cedar Crest education, as reflected in the requirement of the Ethical Life course and events like the annual Health Wellness and Research Conference. The addition of the Department of Health Sciences continues the College’s strong tradition of health education, adding to already thriving programs in nursing and the sciences. There is so much happening at Cedar Crest College, and our students are at the center of it all! 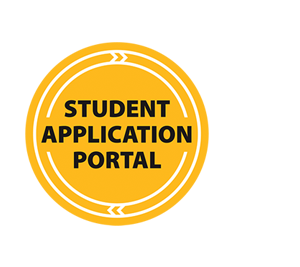 Head to the Video Center for student profiles, campus activities, and information about academic programs. 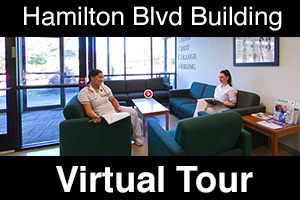 Explore where Cedar Crest College students live and learn by taking a virtual tour of our campus!